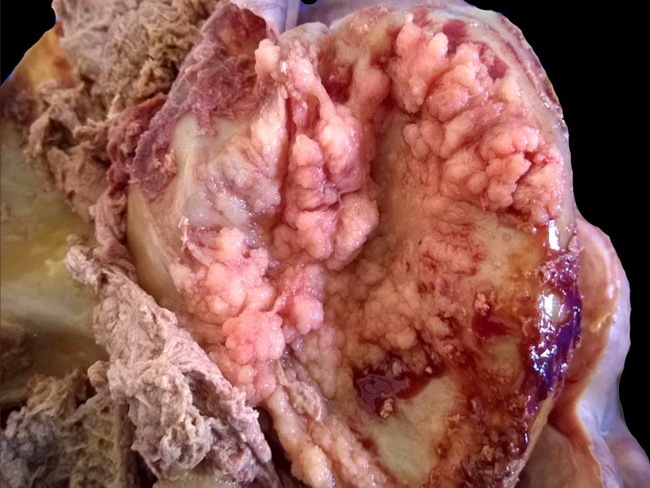 High-grade papillary serous carcinoma of the fallopian tube. Image courtesy of: Dr. Roshan Nasimudeen, Dept. of Pathology, Government Medical College, Kozhikode, Kerala, India; used with permission.